BC Pavilion Corporation (PavCo) is pleased to announce the revitalization of BC Place is scheduled to be complete by Friday, September 30, 2011. 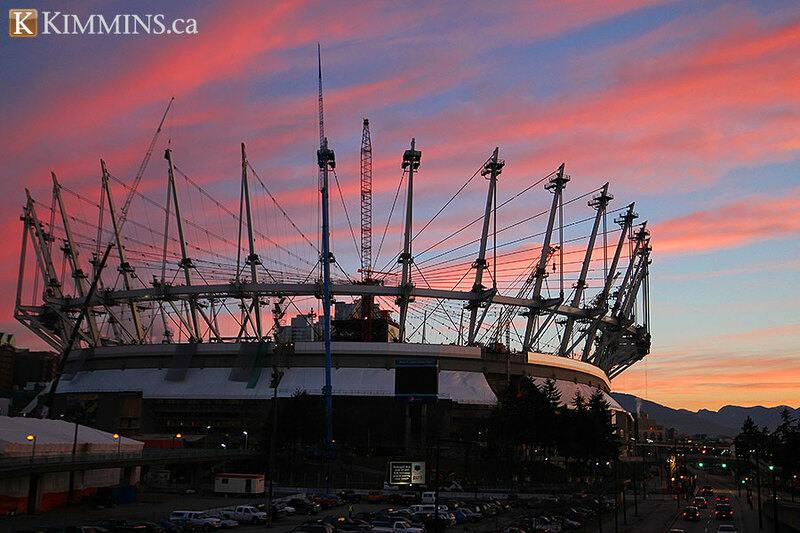 The 36 masts and compression beams that make up the steel superstructure of the new retractable roof at BC Place are now in place. The cable-net system to support the new fabric roof is now being installed, and the entire revitalization project is on schedule for completion by September 30. In true sports tradition, the decision about which team will have the opportunity to play first in BC Place was recently decided by a coin toss in a downtown Vancouver office. However, the dates and details of the first BC Lions and Vancouver Whitecaps FC games at BC Place will be confirmed by the Canadian Football League (CFL) and Major League Soccer (MLS) when they issue their respective 2011 schedules in the near future. “There’s still a lot of work to do of course, but we have an exceptional team of skilled tradespeople, designers, engineers, and construction professionals involved in this project,” said David Podmore, chair of the BC Pavilion Corporation (PavCo).